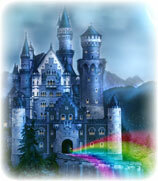 We've selected three excerpts from The Enchanted Castle to personalize and preview. Go ahead and fill in the character information highlighted below, then select the preview button at the bottom of the page. Voila! The text from the book now contains your character information, along with lots of adventure!